Thanks Marie. I can’t take the credit though lol. If it weren’t for Anna then it wouldn’t have turned out half as good. I’m not the most skilled artist! Claire this is so beautiful!!! 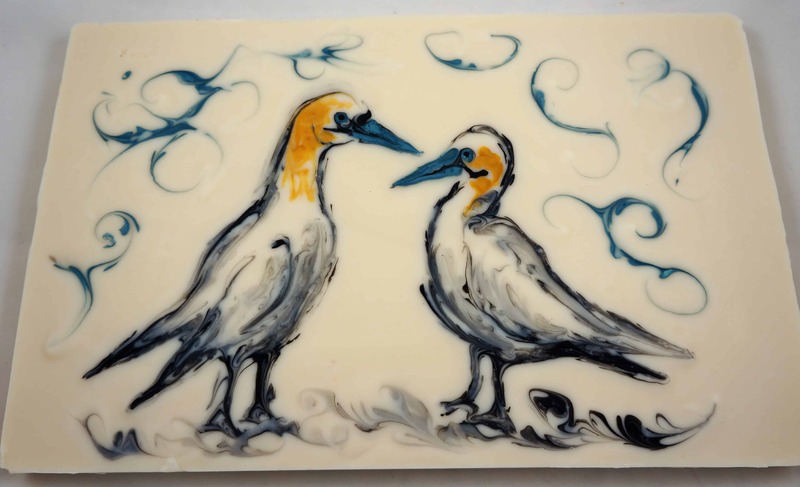 The two of you made such a beautiful soap – so very artistic! This is so stunning! If I didn’t know better, I’d say they look like hand painted ceramic tiles. Great job to you both! What a beautiful work of art! You are a great team and it looks like you had a really wonderful time. 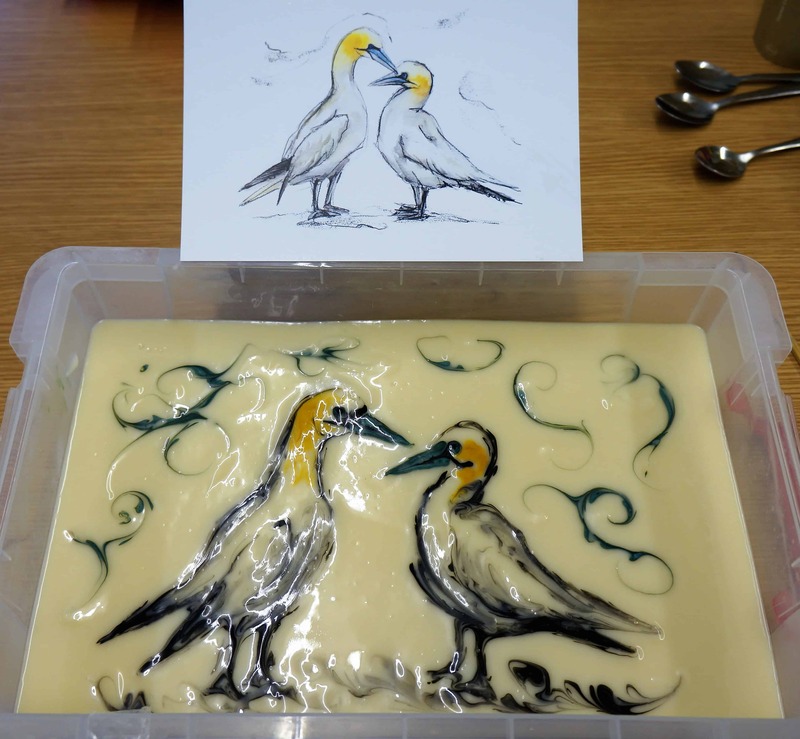 It is such a brilliant idea to paint on the soap like that. The birds are so lovely too! Thanks Lisa, we had so much fun. I’m glad you like the resulting soap! I love this soap…so creative and lovely!!! Wow! 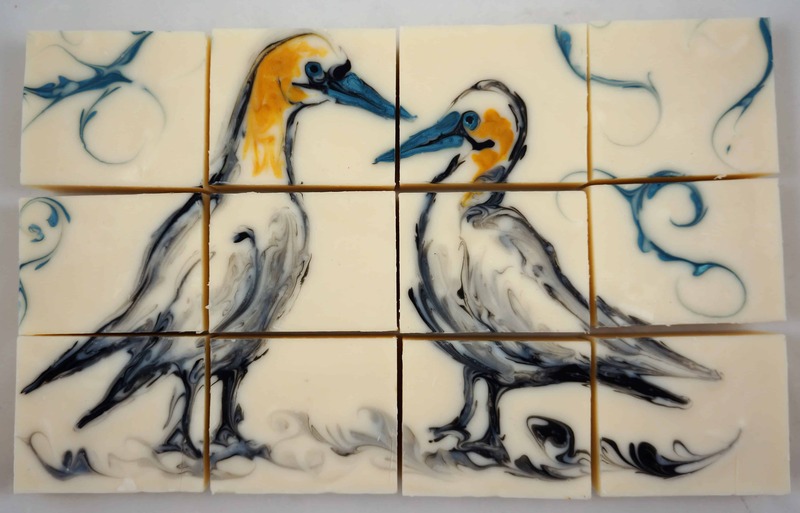 That’s a great way to add art to soap. ☺. Lovely work! Wow!!! Just amazing! I can’t stop looking at it…it keeps catching my eyes. Truly a work of art. Great job you two! 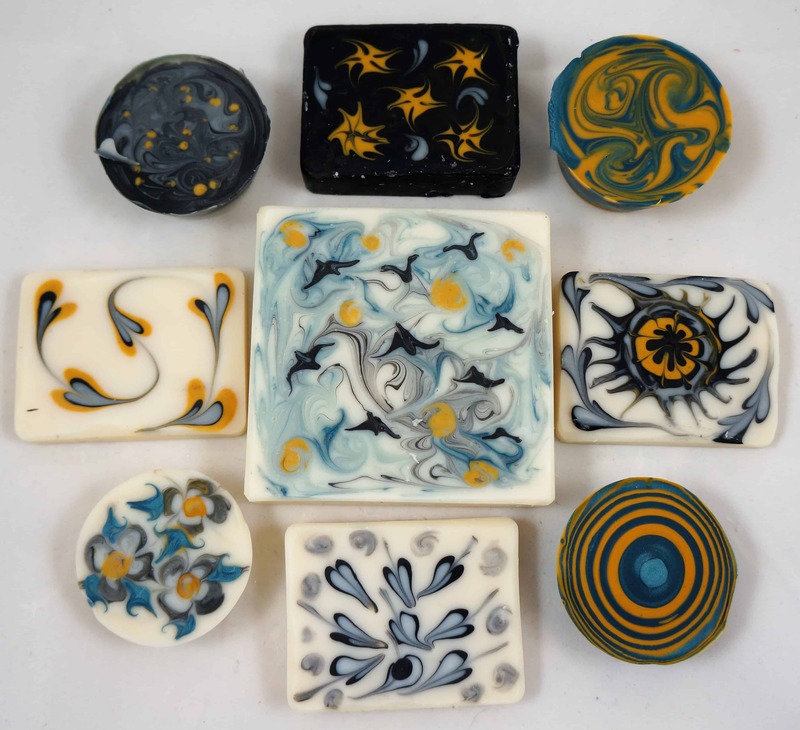 What a lovely collaboration and a beautiful set of soaps – so inspiring 🙂 and really well done. Thanks for sharing! What an incredibly creative job you two did, combining your two very special skills! Even the “left over soaps” at the end look so beautiful! I loved playing around with the extra soap batter. I will have to try that more often. I usually just dump it into some silicone moulds without swirling or doing anything with it! Very nice job! I love your creativity. 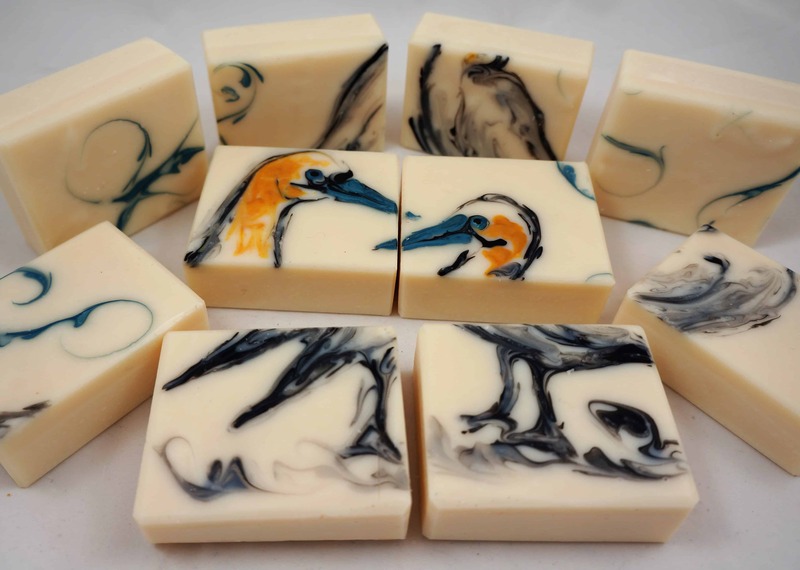 Such a beautiful soap and incredible artistry! Thank you so much for the video to show how it was done – not that I’d even be able to accomplish anything nearly as appealing as this in a million years! Fabulous job, Claire and Anna!